Well, it's Friday, and you know what that means, Yes, my Oriental home lube-job specialist Fah Lo Suee and I will be heading off the annual Traci Lords/Marguerite Duras Film Festival in Kalispell, Montana. Not sure which of the honorees will be attending, but it sure sounds like a hot one! Best or Worst Rock Era Record or Song With the Word "Ain't" in the Title or Lyrics!!! Self-explanatory, I think, and no arbitrary rules whatsoever, you're welcome very much. The Ivory Joe Hunter song. EP's version here was recorded in 1958 but not released until 1985 (on the brilliant but now out of print Elvis blues comp pictured above). 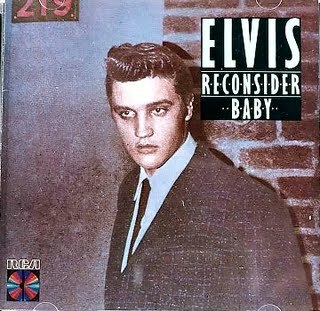 A different, mid-tempo version (with the Jordanaires) was a minor hit (in the early 60s, if memory serves) but this vastly superior bare bones revved up assault on the tune is one of the most genuinely exciting records in the Presley canon. 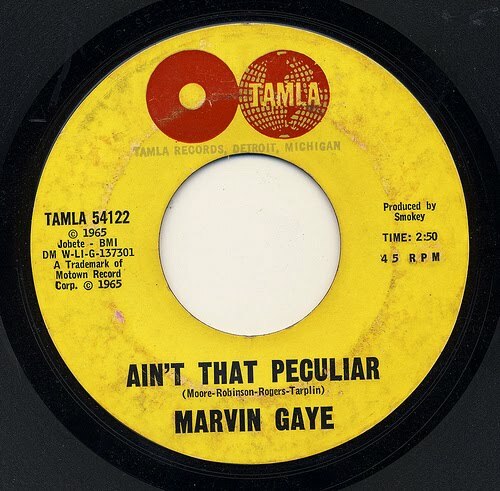 On balance, not only my favorite Marvin record, but probably my all-time fave Motown record as well. Because, as you know, we like to have something recorded in the current century. 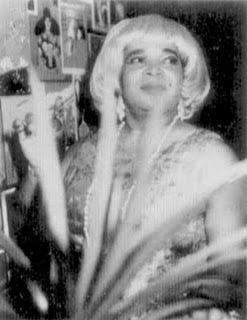 And speaking of Queens of the Stone Age, Marchand sang lead on the original version of "Rockin' Pneumonia," and made a whole slew of really great New Orleans R&B records in the 50s and 60s. Including this one, which seems to come from a very personal place. Not necessarily the greatest Television track, but if pressed probably my fave, although I'm not entirely sure why; it might be the way that tiniest hint of Hammond organ sneaks in on the verses. An obvious nomination: I'm quite partial to Cheap Trick's cover of "Ain't That a Shame". As good a reason as any to check 'em out on Youtube. I'll also go with the Beatles -"Revolution 1", off the White Album, which I prefer to the single version. "you ain't gonna make it with anyone anyhow"
Big Star - "The Ballad of El Goodo" from #1 Record. Also an obvious choice on this blog - "ain't no one going to turn me 'round"
Graham Parker - "Don't Ask Me Questions" from Howlin' Wind. "Ain't no answer in me"
The Replacements - "Waitress in the Sky" from Tim. I find it impossible to take a plane anywhere without this one going through my head - "you ain't nothin' but a waitress in the sky"
Big Audio Dynamite - "Medicine Show" from their first. "if you ain't ill, it'll fix your car"
and, for fun, close with Cyndi Lauper - "She Bop" from She's So Unusual. "Ain't no law against it yet!" This is the first time I ever heard that Elvis "Ain't Lovin' You, Baby". Super! Wonder why it was never released in this version? Not that the Jordanaires version is bad at all, with its clever descending bass vocal line hook. But this rocks. Oh yeah, and Clarence "Frogman" Henry's "Ain't Got No Home" with it's boldly idiosyncratic assertion of self, "I got a voice. I love to sing. I sing like a frog. I sing like a girl." And just in case you doubted him, he goes ahead and, dammit, sings like a frog and then like a girl -- as if you'd asked him to. Ain't Gonna Eat Out My Heart Anymore--the Rascals. I couldn't agree with you more about that Elvis track. Frankly, this whole post was mostly an excuse to get that track out there. - That Elvis track rocks like nobody's business and demonstrates, sadly, how early the Colonel's blanding-down of Elvis's releases actually began. 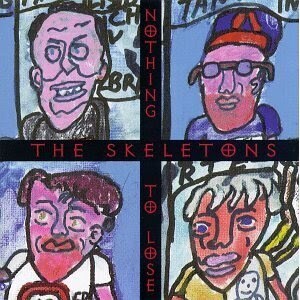 - The Skeletons' track is all sorts of delightful, not only catchy but with great lyrics. - Ditto the Marvelous 3, though I find the music much more mainstream. - That Bobby Marchand cut is crayzeee. In a good way. - And that's one of my fave Television tracks too -- the opening guitar riff hook is so damn catchy and effortlessly, langourously cool that it doesn't matter what comes after. My favorite song for grammar-butchering is Santana's "No One to Depend On." The lyrics consist almost entirely of the oft-repeated line "I ain't got nobody that I can depend on," which, it could be argued, squeezes five usage errors into only nine words. Very efficient. Oh, and on the grammar-butchering tip: while it's hard to top Santana's usage error-to-words ratio, Paul McCartney's infamous "ever-changing world in which we live in" is some kind of defining moment in this much-maligned (and deservedly so) subcategory of pop music arcana. The Band did a great version of that one, too. Maybe too obvious: Life During Wartime: "This ain't no party, this ain't no disco, this ain't no foolin' around . . ."
I read that during the early eighties, when Talking Heads had morphed into their world-music phase, they were doing one of their cerebral-funk anthems and someone in the audience shouted, "Hey, this ain't no disco!" "I read that during the early eighties, when Talking Heads had morphed into their world-music phase, they were doing one of their cerebral-funk anthems and someone in the audience shouted, "Hey, this ain't no disco!" I saw Neil Young play at Tanglewood of all places, during his Shocking Pinks phase, and halfway through was prompted to yell out, "Play some Neil Young!!" During that same period, IIRC, Neil was unsuccessfully sued by Geffen Records for making records that weren't "Neil Young enough." That's almost as absurd as John Fogerty being sued for sounding like himself. Can't believe no one mentioned "Ain't No Sunshine" by Bill Withers. Ahem. Have some respect for your fellow Daves, even those who haven't received trademarks. 10:27 on Sunday night here on Powerpop, and we're only now getting to the Blues Magoos? In regular rotation on WTRY/Albany, NY late in early 1966, and a fave of a certain 7-year-old hooked on boss radio. Still dig it. Compare and Contrast: And So You See...Ennui!